If The Job Could Talk What Would It Tell Us? Businesses everywhere are seeking better ways to secure the talent necessary to their success. Jobs and the specific talents of the people who fill them are the unique building blocks of a company's success. But what talents does a "job" require for excellent performance? Only the JOB has the answer, so let the "job talk" and listen carefully. The revolutionary TriMetrix™ System enables businesses to benchmark jobs and assess the talents they require for maximum performance. The process can be applied and reapplied to any job, anytime in a constantly changing business environment. The TriMetrix™ System begins with a list of "key accountabilities" of each targeted job. Key accountabilities are the critical goals and key business successes the job is accountable for producing. When defined, they serve as a reference point in producing the TriMetrix™ Job Report. Interviewers agree that the interview process is minimally effective at best. What is needed is an unbiased assessment that reveals people’s Values that motivate them to do a job, the Behaviors they will bring to the job, and whether they have the specific talents or Attributes needed for the job. The TriMetrix™ System's Personal Talent Report provides a summary of a person's talent to match the identical areas outlined in the TriMetrix™ Job Report. 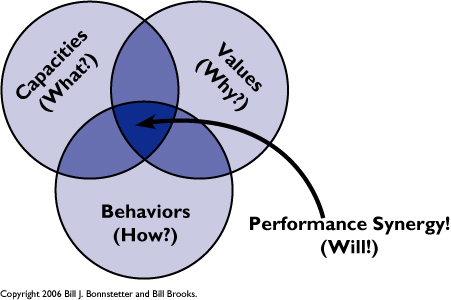 Within the framework of a company's overall selection and development processes, this report reveals the WHY (values), HOW (behaviors) and WHAT (attributes) an individual can contribute to a job. Each candidate is then presented in an unbiased, clear picture that allows for better screening and hiring decisions. NOW, MATCH the TALENT to the JOB! The right Talent in the right Job spells Success! The TriMetrix System enables companies to replace common biases often involved in the selection process with factual data based on Job Requirements. The TriMetrix™ Job/Talent Comparison Report gives you the flexibility to compare an individual or multiple candidates to a job. NOW COACH TALENT as well! Based on the results of an individual's TriMetrix™ System Talent Report the new TriMetrix™ System Coaching Reports provide a comprehensive and flexible tool to help you coach, motivate and manage your people. The report provides insight to three distinct areas: Behaviors, Motivators and Attributes. By helping each person understand his or her strengths and weaknesses in each of the three areas, the TriMetrix™ System Coaching Reports will lead to personal and professional development and higher levels of satisfaction in their job. What can TriMetrix™ do for YOU? Begin today with a review of how the TriMetrix™ System can contribute to the successful application of TALENT within your organization — and lay the foundation for organization's success! To see another example of how the TriMetrix™ System skyrocketed Dealer Excellence and CSI ratings while assisting a 96% profitability increase, click here! This report reveals a comprehensive, three dimensional picture of an individual's talent potential. It gives you a clear blueprint of their behavioral style, their underlying motivators and their judgment patterns. To discover more about how the TriMetrix™ System can help your organization, give us a call at 410-499-0516.